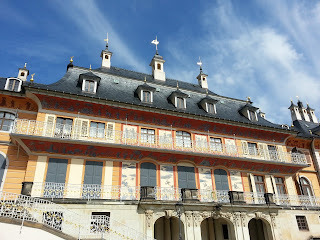 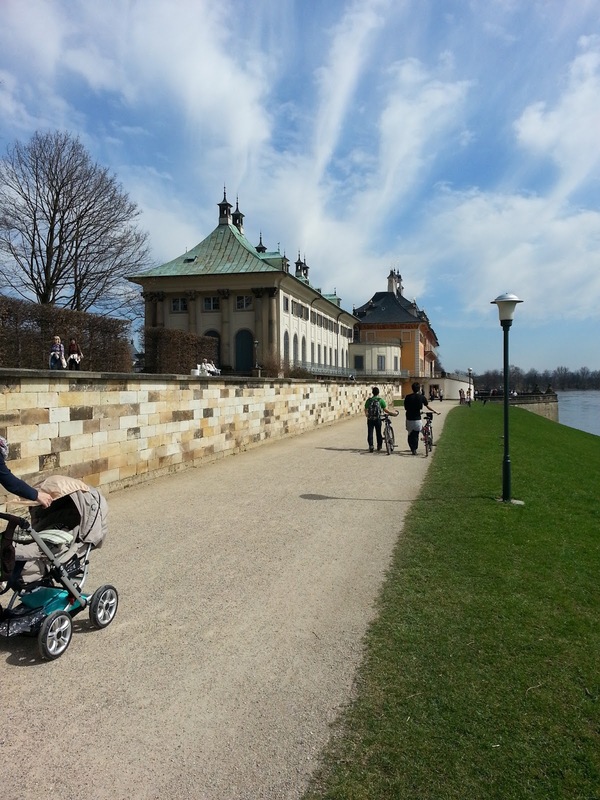 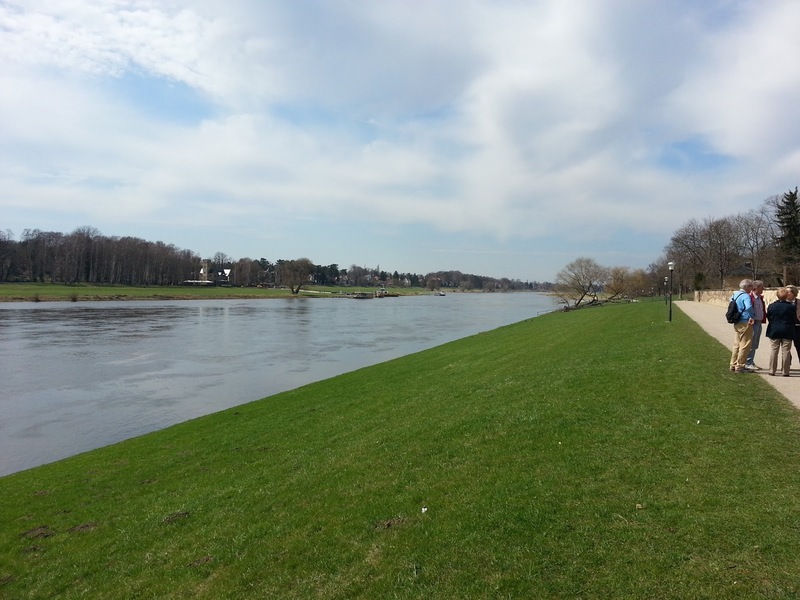 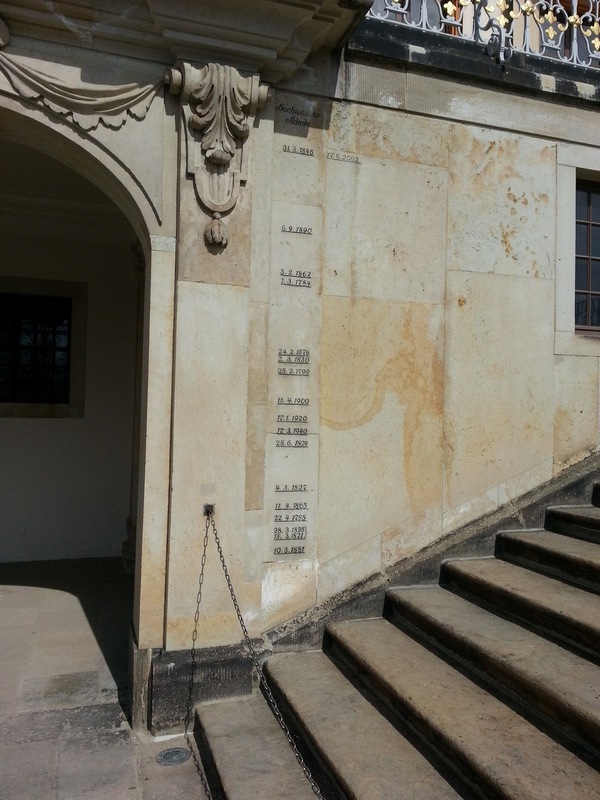 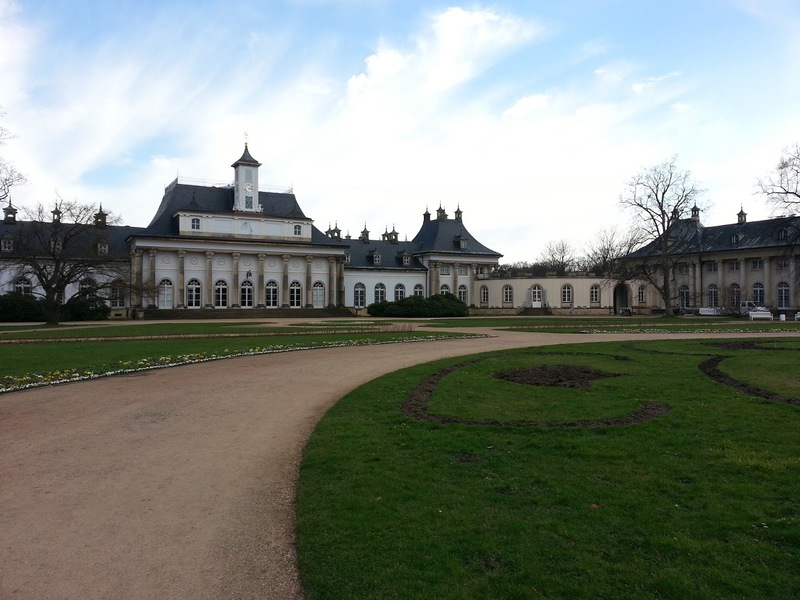 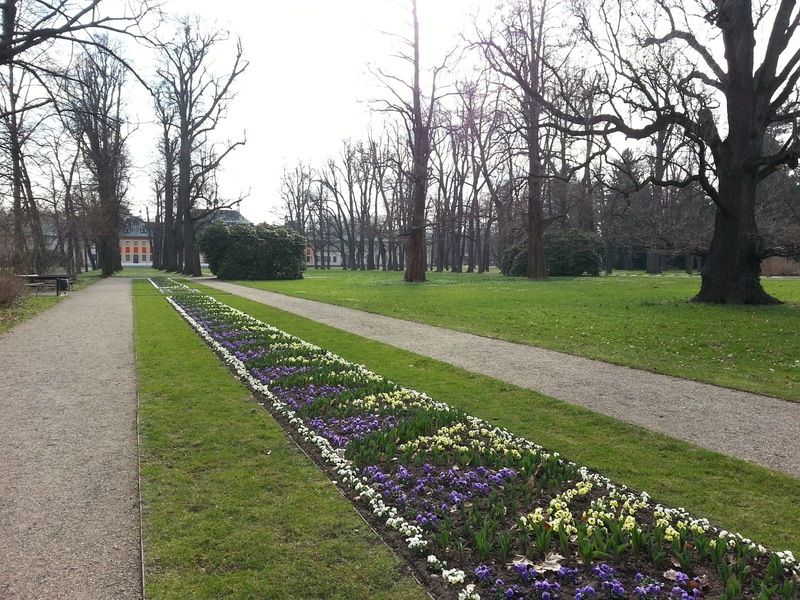 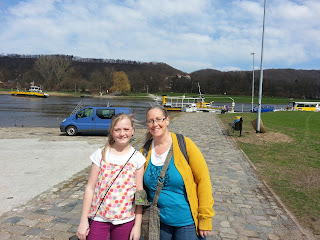 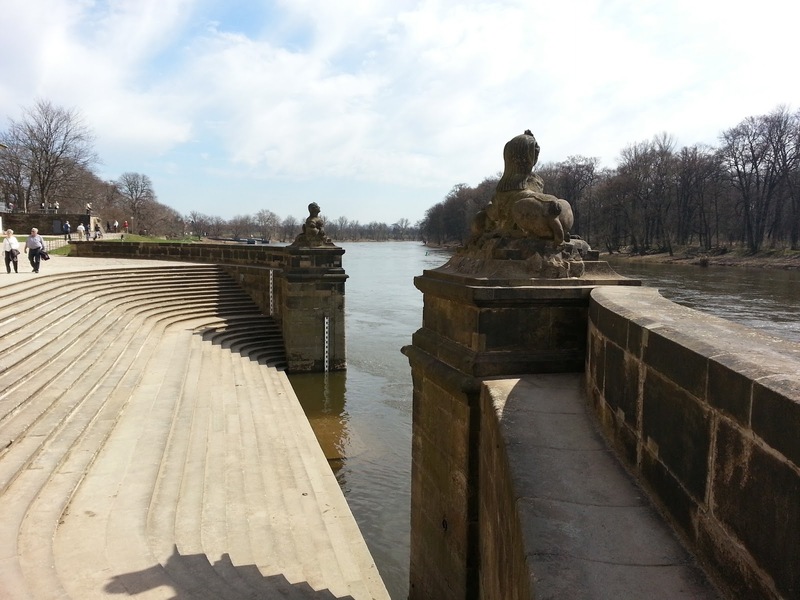 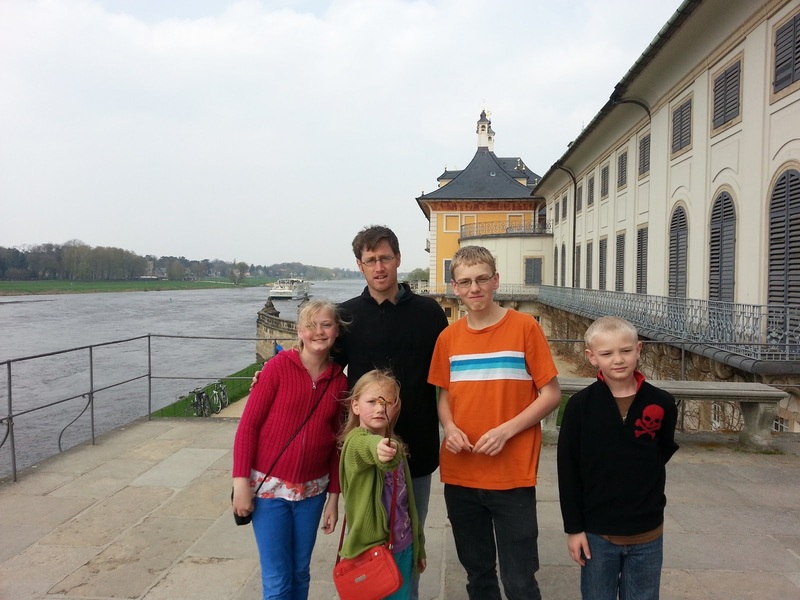 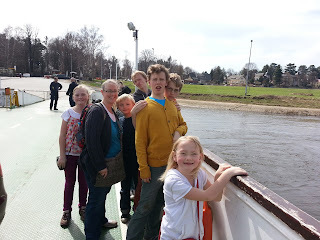 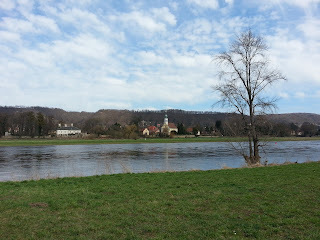 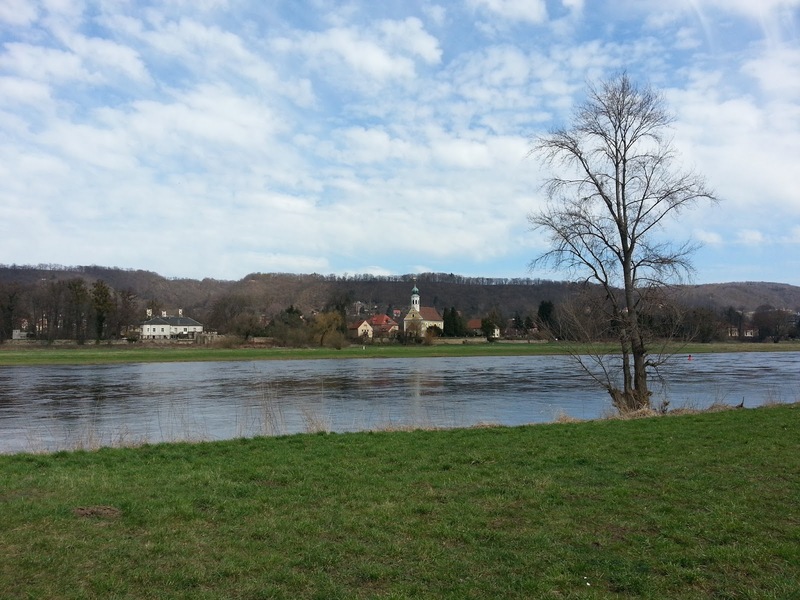 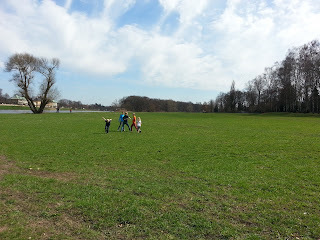 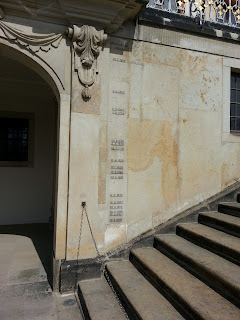 While in Dresden we took a couple of trips across the Elbe river on the ferry to Schloss Pillnitz. 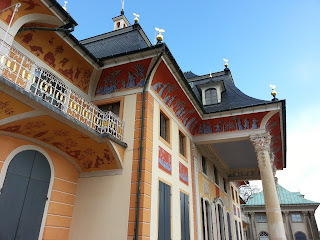 It's a beautiful place and has interesting Chinese-styled ornamentation and artwork. 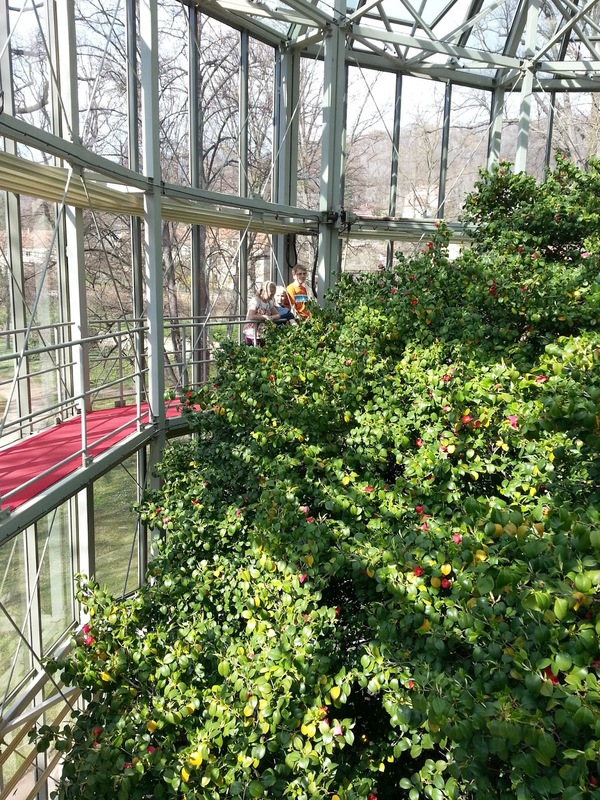 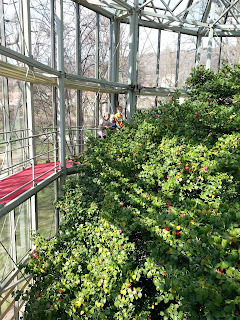 The inner courts have gardens, more palaces, a Japanese camellia tree protected in a glass house in winter, and an "orangery", an indoor tropical garden not pictured here. The local Dresdner are mostly observing a boycott of Schloss Pillnitz because it was always free of charge until recently but now costs a few Euros per person in the off season when we were there, but is more expensive starting in May when the buildings open for visits.